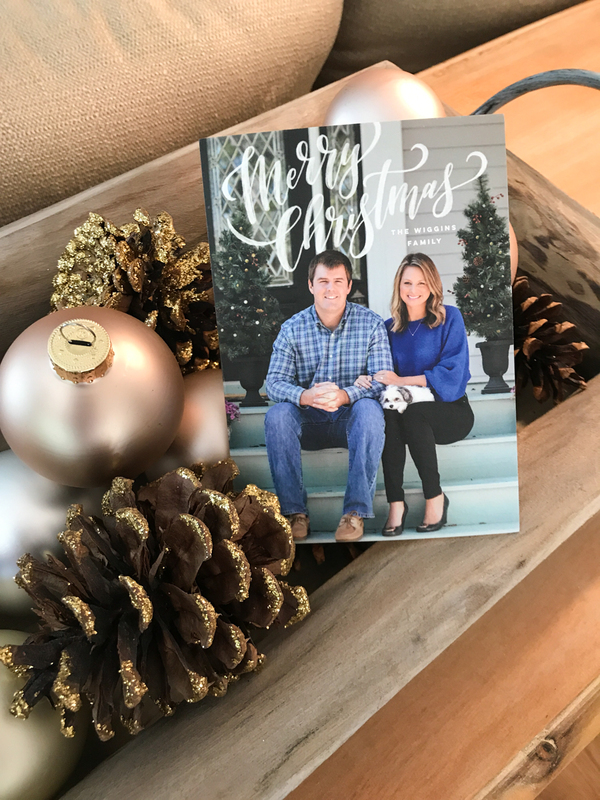 Now that our Christmas card has arrived in our friends' & families' mailboxes, I'm excited to share our season's greetings for this year! In 2016, we shared an engagement photo and last year was very easy as we used one of our favorite wedding photos for our card, but this year, we decided to just keep it simple! 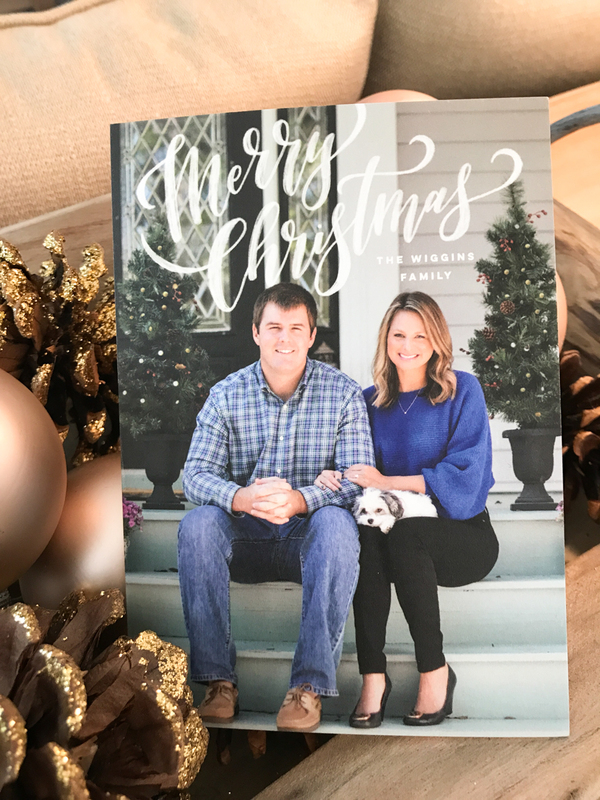 My mom stopped by our house, snapped a photo on our porch, and then I just uploaded our photo to Minted (which I've used for Christmas cards, invitations, save the dates, and more. 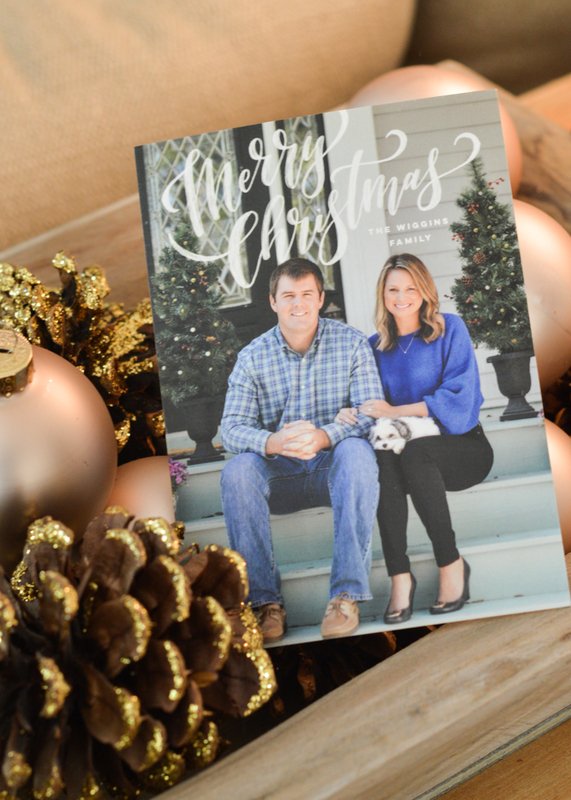 Minted is also having a sale now through 12/3 to receive 15% off holiday cards! 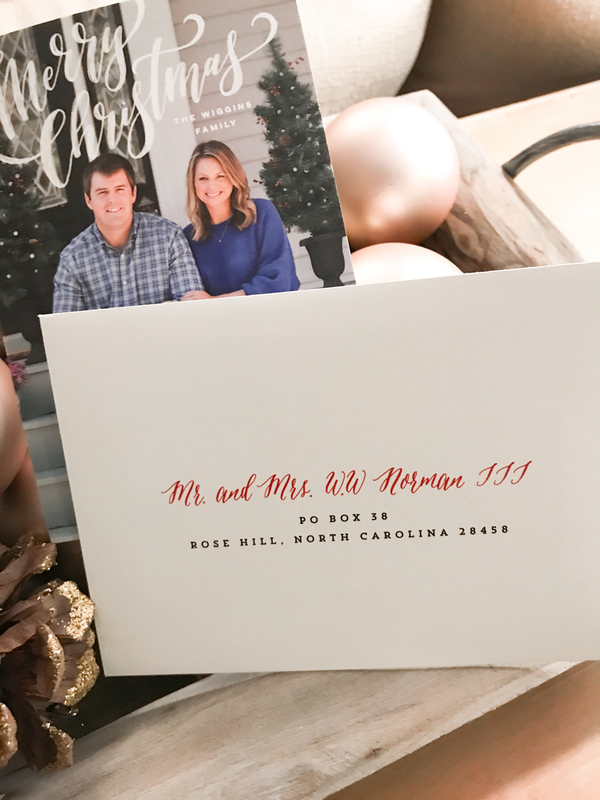 Whether you love a traditional Christmas card, a fun and unique seasons greetings, or even a Happy New Year card, there are so many really great options. This is the exact card we chose (the petite 4x6 version) but I moved around the wording so that it would best fit with our photo! The other thing I love is that Minted offers free envelope addressing. I hand-addressed all of our save the dates, so if I can avoid doing that ever again, I will be happy!